At Atlantic Montessori School, we offer full day and full day + after school care programs for Toddlers (ages 18 months to three years) and Casa children (beginning at age three and continuing through to age six). 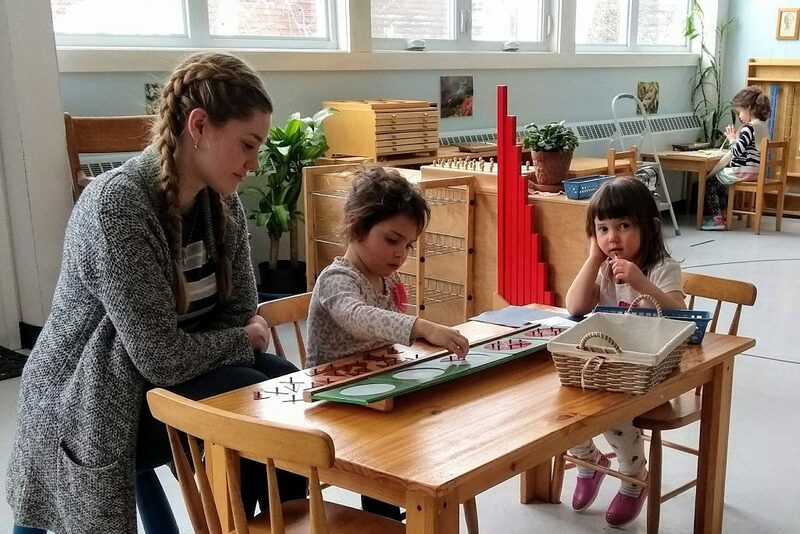 Atlantic Montessori School is co-owned by an AMI certified Montessori Guide and an Inclusion Specialist with a Masters Degree in Early Childhood Special Education. Our school is also an Applicant Member School with the Canadian Council of Montessori Administrators (CCMA). Our menu offers a variety of delicious, healthy meals that kids love. Nutritious morning and afternoon snacks are provided and our family-style lunches are cooked in-house by a certified chef! The Montessori school year follows the elementary public school calendar from September through June. We are closed for two weeks in December/January and also one week for March Break. We are also closed for any statutory holidays.